William L. Dawson was an unparalleled wordsmith when it came to birds. Many have sung songs of adulation and worship for him…I say we are right to do so. If I had the power, I would see him rise from the dead to go birding with me all the time, simply for company and to give a running narration of the birds we see. It would be a deeply enriching experience. 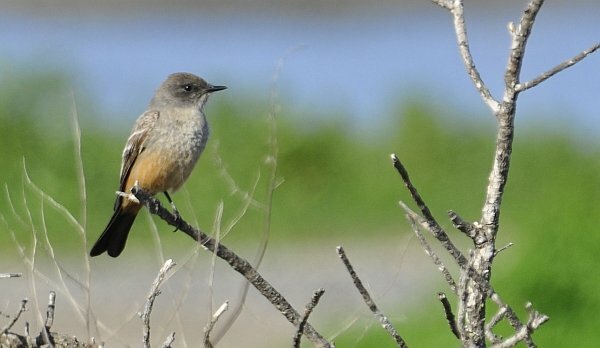 Who else could conjure up such a passage for the humble Say’s Phoebe? Thanks for sharing that. Yeah, birding with him would have been quite the experience! What a great passage. Where’s it from? I can think of a few ornithologist writers I’d like to have come back and bird with me. It’s a fun thought. Frank, it’s from The Birds of California. We used to love those books on the Farallones- I’ve quoted his remarks on the Western Gull here before. Turkey Vultures Get No Respect! How Do YOU Choose a Birding Tour?